No-Confidence Motion or just testing the waters? The net result could be that the ruling NDA could actually sail through without too much of a difficulty. That brings us back to the key question; why this ‘no-confidence’ motion in the first place? Even before the Parliament convenes on Friday to take up the discussion on the “no-confidence” motion on the floor of the House, the result almost looks like a foregone conclusion. Not just the ruling NDA combine, but even the Opposition appears to be aware that the motion is unlikely to swing away from the ruling government. Whichever way you look at it, the ruling NDA appears to be on a strong footing. 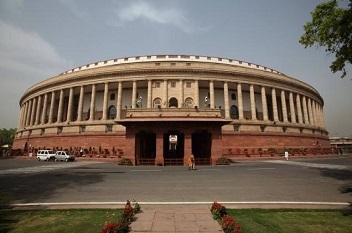 The BJP, on its own, has 274 seats and the full house in the Lok Sabha will be a little above 530, depending on how many members have resigned. This is the BJP alone. Then you have allies like the Shiromani Akali Dal and the Shiv Sena who are still with the BJP and part of the NDA. It is only the TDP and the PDP that are out of the NDA at this point in time. Then there are parties like the Biju Janata Dal (BJD) and the AIADMK which are still sitting on the fence and are expected to help the ruling combination by abstaining from the vote. For the Congress and other Opposition parties, it is merely a show of strength. Even if the Opposition’s Vote of No Confidence is defeated (as it is likely to be), they will at least break the aura of invincibility and infallibility that this government has so assiduously built around itself. That, in itself, could be a minor shock for the markets and a moral victory for the Opposition. More than the actual vote, it is the debate over the vote that the Opposition will be salivating over. After all, it gives them the opportunity to present hard facts pertaining to jobs, growth, inflation, and the fiscal deficit, where the government has been on a weak wicket in the recent past. The market reaction will be determined by the outcome of the vote and more so on the justifications of the NDA government representatives for the current economic situation. The Congress and other parties could be using this platform to gauge which side the wind is blowing ahead of the 2019 general elections. Many supportive parties, including the Shiv Sena, SAD, JD(U), AIADMK, and the BJD have been very upset with the impact of some NDA-government measures like demonetization, GST implementation, among others. This will be used as an opportunity to force these parties to either run with the hares or hunt with the hounds. The markets will, once again, be closely watching the quality of these debates. There is a tacit understanding in the market that the ruling NDA combine has the best chance in the coming general elections in 2019. However, markets also acknowledge that there is many a slip ‘twixt the cup and the lip. One of these big slips could happen if the Opposition is able to present a united face against the economic policies of the government. In fact, things like India becoming the sixth-largest nation in GDP terms will be drowned under issues like mob violence, jobs, farmer distress, etc. That kind of a twist in the debate could put the government on the defensive and also give jitters to the market, which has been hoping for the continuance of the reforms momentum. However, the biggest worry for the markets could be the emergence of a genuine Opposition leader who could act as a nucleus and rally the smaller parties against the incumbent government. We have seen that in the past and that has created problems for the strongest of majority governments. Stock markets will, perhaps, be watching this aspect most closely as it will give a picture of what could happen in 2019. A leader who emerges as a martyr in a losing cause is a lot more dangerous. That is what the government would want to avoid. That is also what the stock markets will be hoping against as that would most likely hint at the likelihood of a multi-party coalition government at the Center in 2019. The no-confidence motion may have a predictable outcome, but it is the process and the build-up that is more important. This could be the first open battle ahead of the 2019 general elections and the markets will be really jittery ahead of this motion.